“It's a dangerous business going out your door. You step onto the road, and if you don't keep your feet, there's no knowing where you might be swept off to.” So said one John Ronald Reuel Tolkien in his masterwork The Lord of The Rings. The warning could apply as much to a young Tolkien himself (the ever-ascending Nicholas Hoult) as to the adventurous Frodo Baggins. Throughout his formative years, Tolkien’s life was shaped by the world around him, from being orphaned at a young age to seeing first-hand the industrialisation of the midlands, to the callous destruction of the First World War. Surrogate fathers (Colm Meaney as Father Francis Morgan), close fellowships of friends (his boyhood secret society known as the Tea Club and Barrovian Society) and most importantly, the love of Tolkien’s life, Edith Bratt (Lily Collins), all inspired the world that would later become known as Middle Earth. 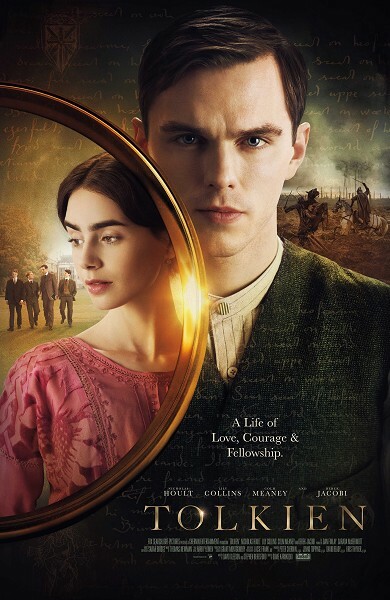 Director Dome Karukoski (the acclaimed Finnish director making his English language debut) has created a visually stunning and heartfelt film that works both as a biography of Tolkien’s early years and as a history of the influences that shaped his writing.